Bagels and cream cheese anyone? This spread is a winner, especially if you love dates. The chopped dates blend into the cream cheese turning it into a creamy, sugary spread with lovely bits of dates to surprise your sweet tooth. Adjust the amount of chopped dates to suit your personal taste. 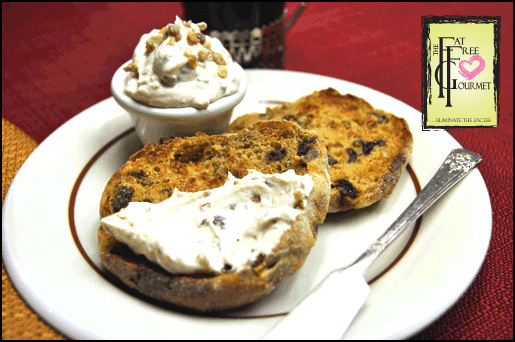 Try this one on cinnamon raisin bagels! In the bowl of an electric mixer, stir ingredients together with a spoon. Set aside for at least 5 minutes, this will allow dates to moisten slightly and blend into the cream cheese. With electric mixer at high speed, whip for one minute or until cream cheese is smooth. Do not over-mix, allow some of the dates to remain in small pieces. Serve or store in sealed container in refrigerator. Yields approximately 1 cup of spread.